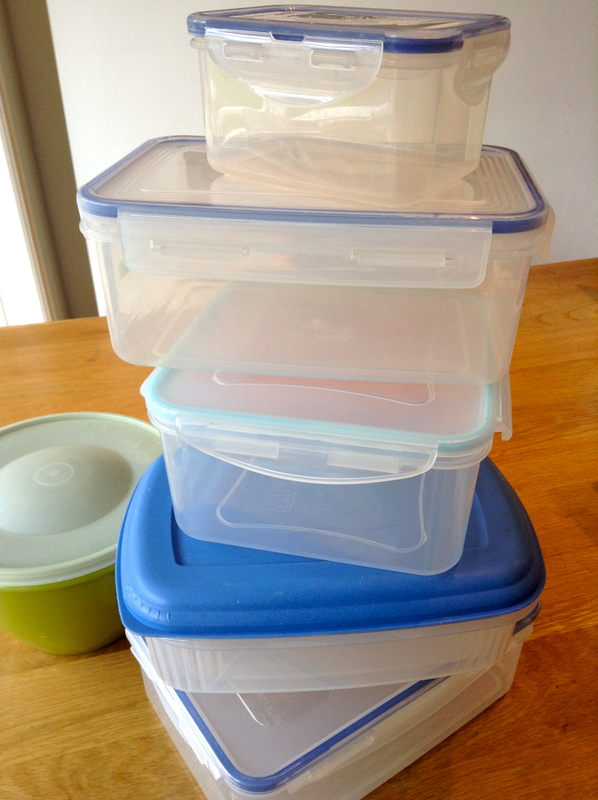 Regular readers will know I am a *little bit* obsessed with storage containers. I know, sad but true. But they’re just so practical. And varied in shape. And with interesting little sections and snap-on lids. Who needs the Tiffany diamond department when you’ve got Robert Dyas’ plasticware section?? 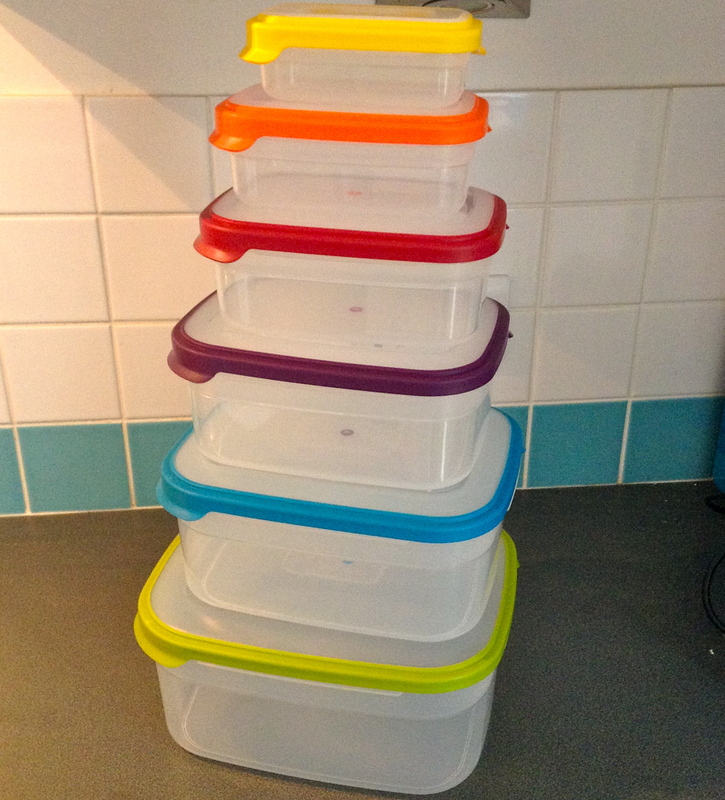 Recently the lovely folks at Joseph Joseph caught wind of my love of storage containers and sent me this beautiful nest of coloured containers to test. Well, obviously I love them. They don’t only look stylish, they work really well. 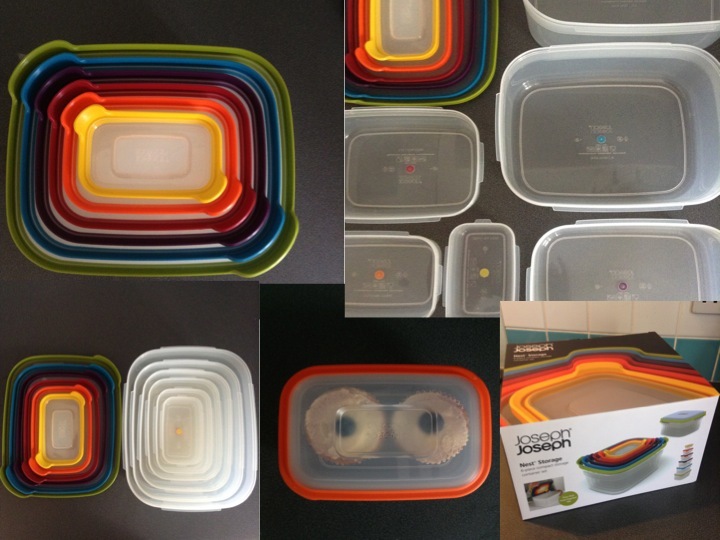 The lids are colour coordinated with the container part via a little coloured dot so there’s no risk of mixing them up, and for those who are tight on space, the lids snap together for almost-flat storage, and the containers stack inside each other, making for a neat and tidy cupboard. The containers are air-tight with silicone seals, see-through (handy) and über stylish. Look! So it’s bye-bye to the sad old Tupperwares inherited from my mother, and the shambolic cupboard full of plastic boxes with missing lids (or never the right lid…), and hello storage heaven… The corner cupboard in my kitchen has never looked so smart. At £40, it’s the perfect Christmas gift for any stylish foodie! Disclaimer: I was sent the Joseph Joseph Nest Storage 6-piece container set for free to try out. 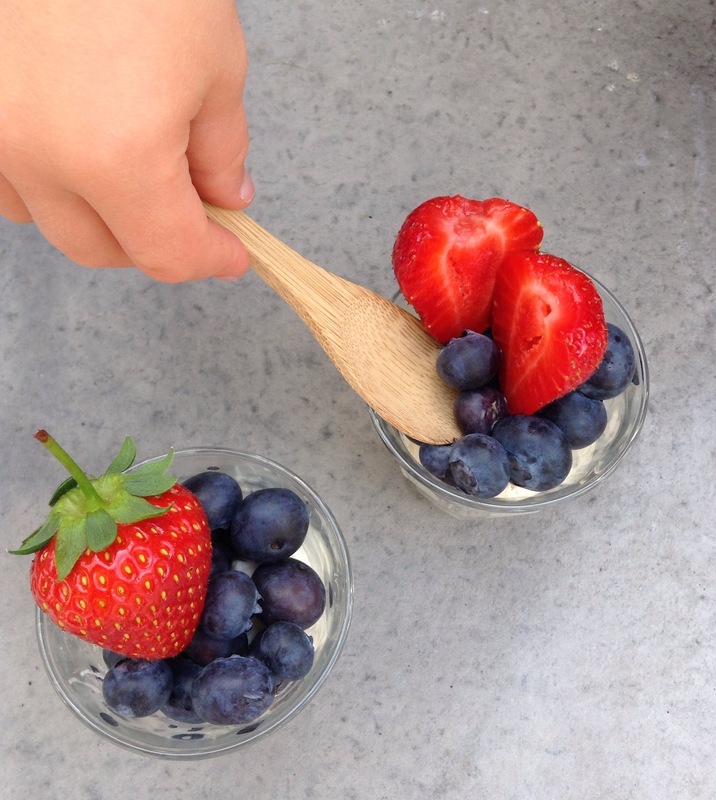 As mentioned in a previous post, I absolutely love summer berries and fruit – from strawberries and raspberries to blueberries and cherries – there’s just so much to enjoy! So when I was given the chance to try OXO’s new Strawberry Huller and Berry Bowl Set as well as some delicious Sweet Eve Strawberries I was delighted to test them. And what’s more, OXO have given me a set to give away to one lucky reader! 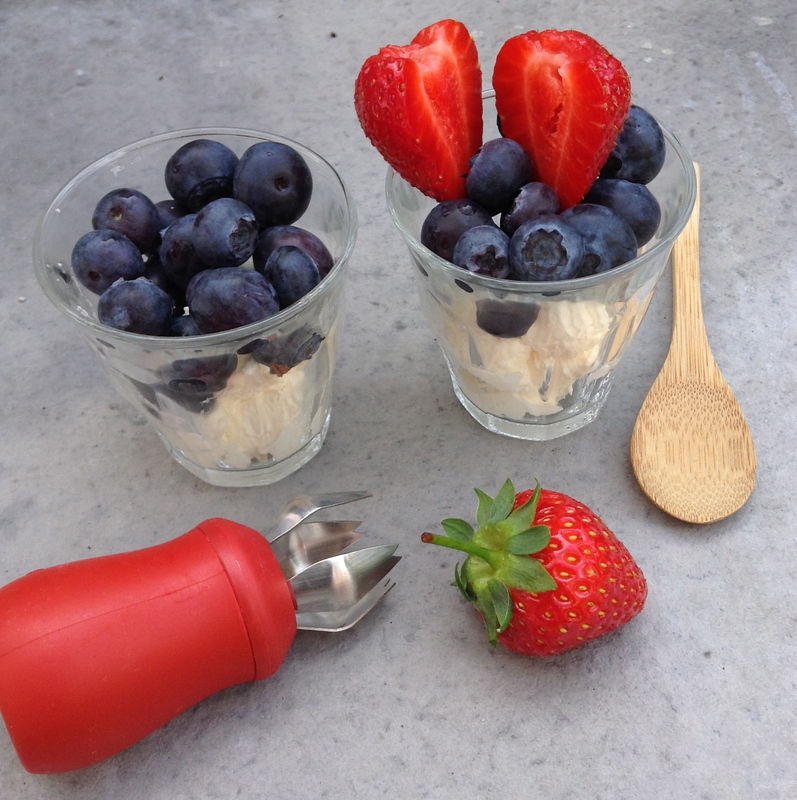 Scroll down for info on how to enter and for my Summer Berry Cream Pots recipe. The Strawberry Huller is designed to easily remove the stalk from your strawberry. It is completely amazing – you just stick it into the top of the berry and twist, then pull out the whole stalk. If your strawberries are firm, it works a treat. Would be particularly useful if you were making jam or similar, and needed a lot of berries. I used my berry kit to make Berry Cream Pots, very easy and very delicious! Littlest and I ate them outside in the sunshine. Summer heaven. These are yummy and so easy – simply gently whip some double cream and fold in some maple syrup. 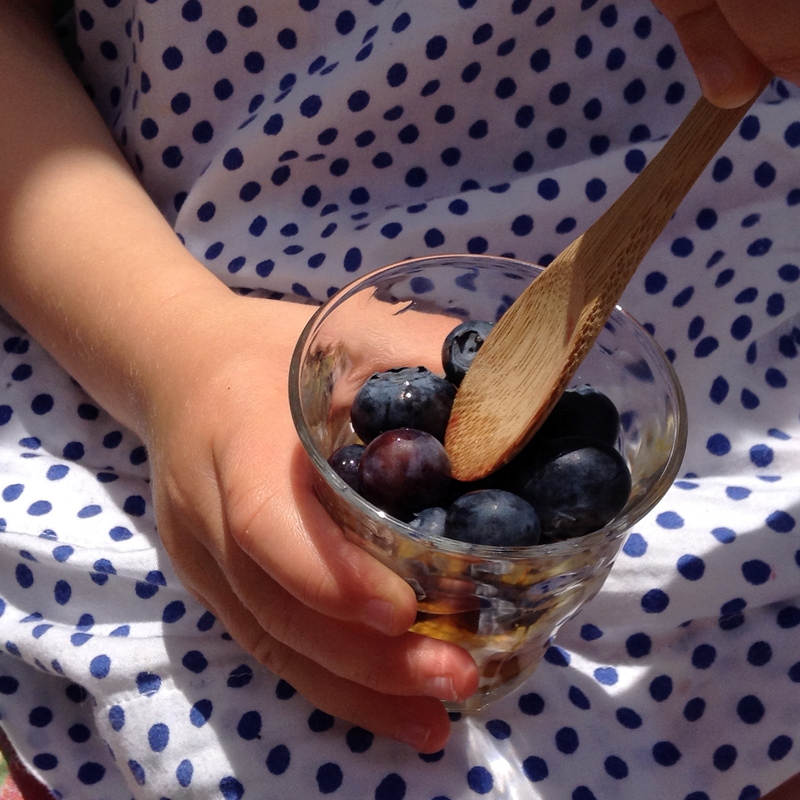 Spoon your mixture into small glasses or bowls and top with freshly washed blueberries and strawberries. Drizzle with extra maple syrup if you’re feeling naughty. The lovely folks at OXO UK have given me a Berry Bowl Set and a Strawberry Huller kit to give away on the blog. If you’d like to win one, please comment on this post. To be in with a chance of winning a berry kit, you have to leave a comment below telling me your favourite way of serving strawberries – include pics! THE GIVEAWAY IS CLOSED NOW AND I WILL BE SELECTING A WINNER SHORTLY. Good luck and happy berry eating! With thanks to Oxo UK for the prizes. All opinions on the blog are my own. 1. Entry in to the prize draw will be deemed as acceptance of these rules. 2. The prize draw is open to any UK resident, aged 18 or over, who leaves a comment below telling me their favourite way of serving strawberries. 3. The competition ends at midnight on 15 July 2014. 4. One winner will be selected from all valid entries. The winner’s name will be given to OXO who will supply the prize and put the winner’s name forward to win a year’s supply of strawberries. 6. The prize is one OXO Berry Bowl Set and one OXO Strawberry Huller. 7. The prize is non-negotiable, non-transferable, and there is no cash alternative. 8. The prize will be posted to the winner’s home address within 30 days. 9. If a response is not received by the winner within 30 days they will forfeit their right to the prize. It’s time to celebrate another hero gadget – something I truly could not get by without in the kitchen. It is time the spatula got its moment of glory. I like a spatula. I like scraping out every last bit of mixture, every last drop of soup, it makes me feel thrifty; I don’t like waste. Spatulas can be used one-handed. Spatulas are colourful. They are cheap. They are friendly. God bless ’em. I have five spatulas: one big yellow one made by Oxo Good Grips, which is perfect for scraping out every last bit of cake mixture from the bowl, and flexible and slim enough to lift and turn omelettes and pancakes. The two medium-sized ones – one red Le Creuset one with a wooden handle, one cheap and cheerful all-plastic – are both frequently grabbed at critical moments while cooking, for turning, scraping out the food processor bowl, or folding in an egg white or two. The fish-slice spatula (not pictured) I have is this beauty made by Chef’n – it is razor-thin and makes flipping burgers, fish, fried eggs etc a doddle. 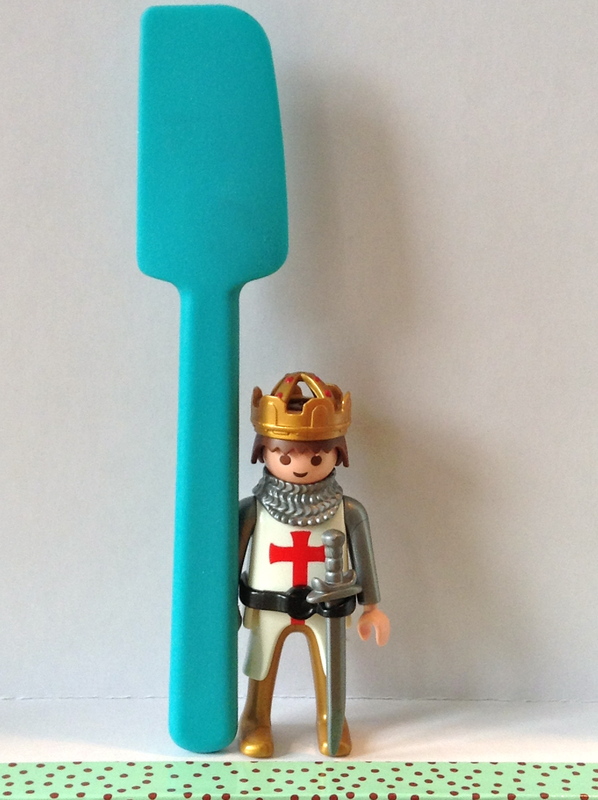 But my most favourite spatula is my tiny turquoise one. It measures no more than 15cm but is super-flexible, and so tiny it can be used to extract the last bit of jam from the jar, or the last bit of yogurt from the pot. 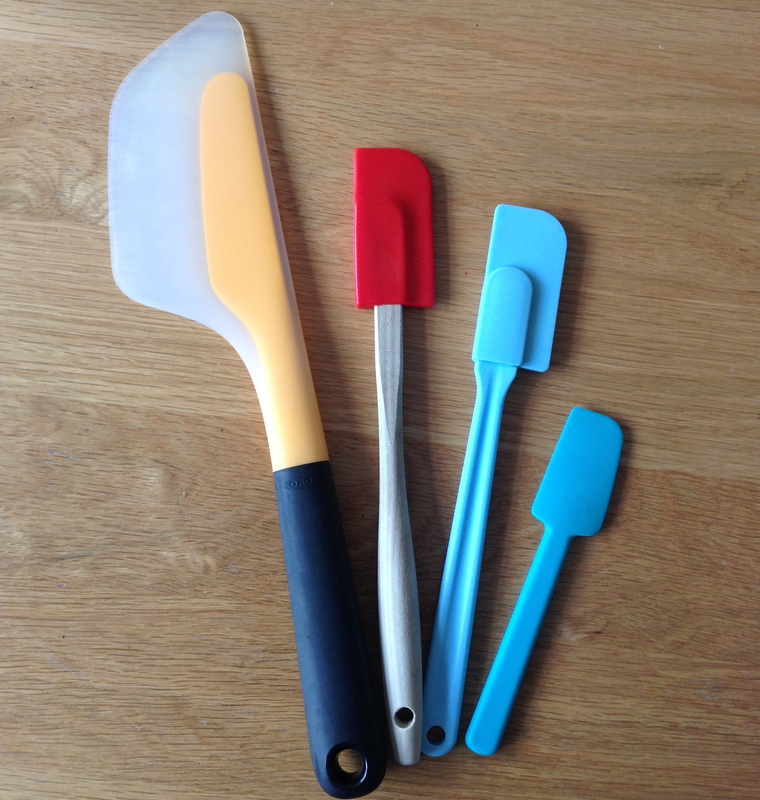 I also have a spoonula (yes, this is a word – apparently) which is a heat-safe silicone spatula with rounded edges and has a scoop like a spoon. Hurrah for the spoonula. No one-handed cook should be without one – they are truly the mother of all utensils. Disclaimer: I wasn’t paid or sponsored to feature any of these delightful spatulas – I just find them very useful and wanted to share! It’s been a while since I featured a Hero Gadget on the blog. It suddenly struck me that I had not yet featured my beloved Microplane grater, and I’ve been writing this thing for almost a year (er, how the hell did that happen?). So it is time to put things right. 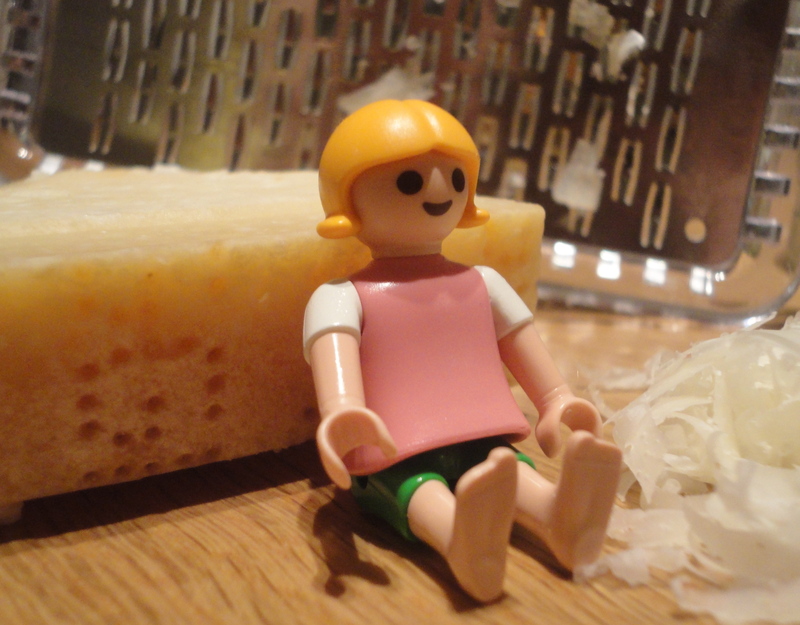 Put simply, any kitchen worth its salt has to have a Microplane grater. For a start, it works. Every time. It doesn’t bend. It won’t buckle. It is rigid and unyielding (a bit like my six-year-old when it comes to eating broccoli). It looks good; it is robust; it is multi-functional. It stays sharp. It goes in the dishwasher. It is the king of graters. This is truly a gadget for a time-pressed parent who just needs things to work. I have two Microplane graters: a fine one and a coarse one. The fine one is brilliant for grating Parmesan, or any other hard cheese, nutmeg, chocolate etc. It is also completely brilliant for zesting oranges, lemons and limes. The coarse one is also good for Parmesan, but can also be used for fruit and vegetables – onion, celery, carrot, apple – all have seen the rough side of the grater in my house. Now of course, it is physically impossible to grate something one-handed. So this is a gadget to use quickly, while baby or toddler is content and occupied. Pop him or her in the bouncy chair or the sling, and pick up your Microplane. It won’t let you down, I promise. In fact it will work so well, the only thing that might let you down is over-zealous grating… watch those fingers, folks. You can buy a vast range of Microplane graters on Amazon and on the Divertimenti website. Is it a salad spinner, or an entertainment centre? With its straightforward one-handed operation – so you can even spin salad while carrying baby – The One-Handed Cook is extremely happy with this bit of kit. It looks smart, with its all-new clear plastic look and new shape bowl for 2013. It still features the brilliant pump mechanism, and now the underside of the lid comes apart at the touch of a button for easy cleaning. I wash the salad in the bowl, then drain the salad in the colander part, and then get spinning to ensure my lettuce is nice and dry, ready for dressing. The OXO Salad Spinner has a non-slip base so it won’t move around on the work surface, meaning you can spin to your heart’s content. To stop it spinning, simply press the little brake button, then tip out salad, and voila. However, there is more – those clever folks at OXO have done away with the domed lid of the old version, and replaced with a flat lid, so once you’ve poured out the water from the bowl, post-spin, you can store your salad in the spinner in the fridge, which makes life easier. Which busy mums and dads definitely like. Easy to use, brilliantly designed, and very effective, I can now disclose that this fabulous salad spinner has one more feature that is not mentioned on the box. Oh no. I have an exclusive for you, dear reader *steals a glance left and right, cartoon-style, and whispers* It entertains the children. Yes, you heard me. It is worth buying (or growing) and eating salad, just to watch your toddler keep him or herself entertained with this bad boy. In fact, get one even if you don’t like salad. I have to wrestle this from my daughter’s hands in order to get my lettuce in the salad bowl, frankly. 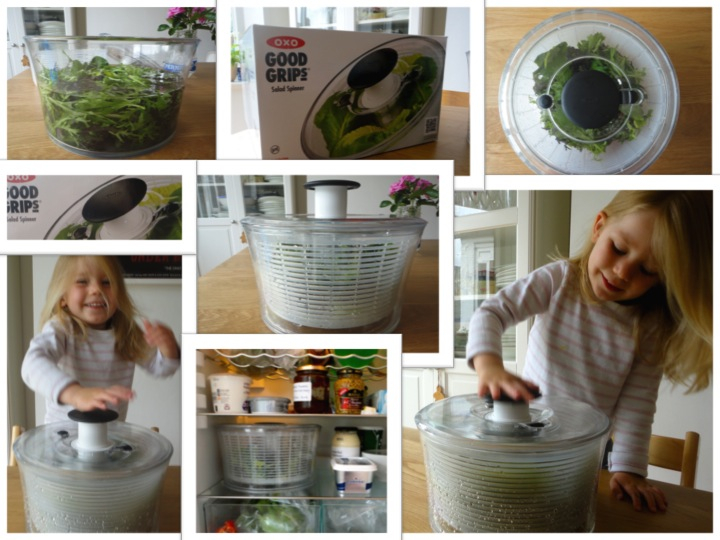 She loves it – she is helping, she is pushing the pump up and down, she is spinning, she can’t stop spinning, she’s checking the salad leaves (‘They’re still bit wet, mummy,’ she says disapprovingly, putting the lid back on), she’s spinning again. While I can get on with doing other things. Buying my first very own Le Creuset felt like a giant leap. Having grown up with a Francophile French teacher mum, Le Creuset was a name I had known all my life. On holidays to France, mum would make a trip to the quincaillerie, or hardware store – for this was about the only place the heavy orange enamel pans were sold in those days – and stock up on heavy lidded pots. And so, buying a large red Le Creuset casserole at the age of 25 or so, marked a milestone for me. No longer a student, earning money, living with my boyfriend in London, owning a Le Creuset. I was a grown up! (How did that happen?) And now I have two children, and the red Le Creuset has a little brother, a smaller blue one, and I couldn’t live without (any of) them. They are expensive, I admit, but boy, do they last. And boy, are they versatile. Which is why we love Le Creuset, and why these amazing enamel, heavy duty pans get a mention on the blog. Every busy mum – or dad – trying to get dinner on the table needs a Le Creuset, I think. I use mine all the time, and can’t imagine what I’d do without them. Whether it’s to make soup or a stew (the heavy enamel base conducts heat really effectively), to make Bolognese sauce (get all your ingredients in, in the usual way, bring to a simmer and then transfer straight from the hob to the pre-heated oven for 45 mins), or for casserole that goes straight from oven to table, they are simply unbeatable. Perfect for the one-handed cook … Yes, you can even stir them one-handed – they don’t tend to move when they’re on the hob – they’re so darn heavy! – They weigh a ton. Not for the feeble. – They are pricey, but they do last for ever, practically (see above). So there you have it. Le Lowdown on Le Creuset.